ARB Thomas was a member of Liverpool chess club for 62 years in total although for much of this time he lived in Devon where he won the Devon and West of England championship. 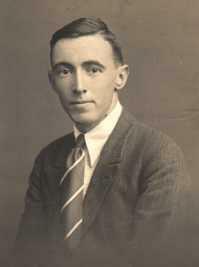 He always listed himself as a Liverpool Chess Club player and played for the LCC Correspondance team. In 1938 he played in the Margate Congress where he defeated Najdorf, Conde and HH Cole. In 1947 as Liverpool Chess Clubs strongest player arranged for a match in Liverpool against the Amsterdam Chess club, the Liverpool team included 17yr old G Crown who won both his games.